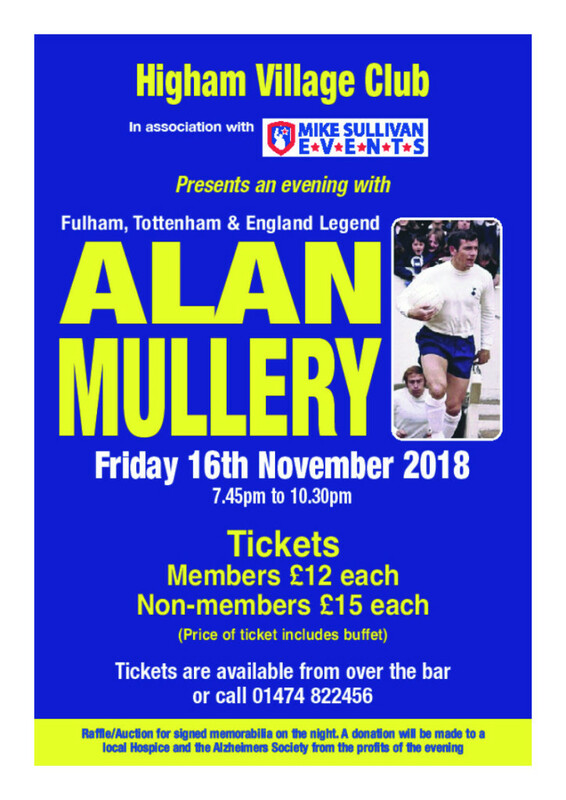 Come and join us at Higham Village Club for an evening with Alan Mullery presented by Mike Sullivan Events. Tickets are now on sale so please don't leave purchasing tickets until the last minute to be sure to avoid disappointment. Members £12 & non-members £15 including buffet. Tickets can be purchased from behind the bar or over the telephone with your card. Come and hear about Alan's career high's and low's.